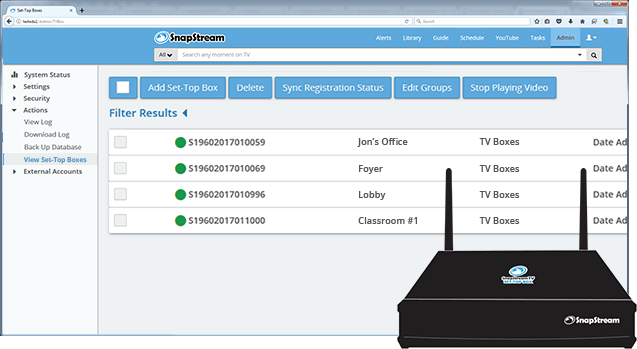 Working as an accessory to your SnapStream server or SnapStream Cloud, you can centrally control 100s or 1000s of SnapStream TV Set-Top Boxes and watch live & recorded TV on any TV in the classroom, office, or conference room. Simply connect the HDMI output on your SnapStream TV Set-Top Box to your TV and connect to your network. Use the included remote to access live and recorded TV through SnapStream with the click of a button. 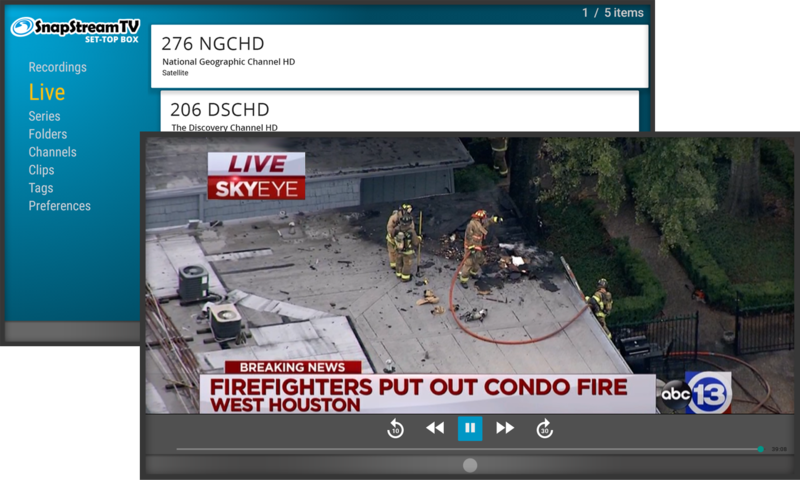 Distribute live video throughout your organization, whether it's breaking news on broadcast TV or a custom in-house channel. Watch any recording from your SnapStream server on your TV. 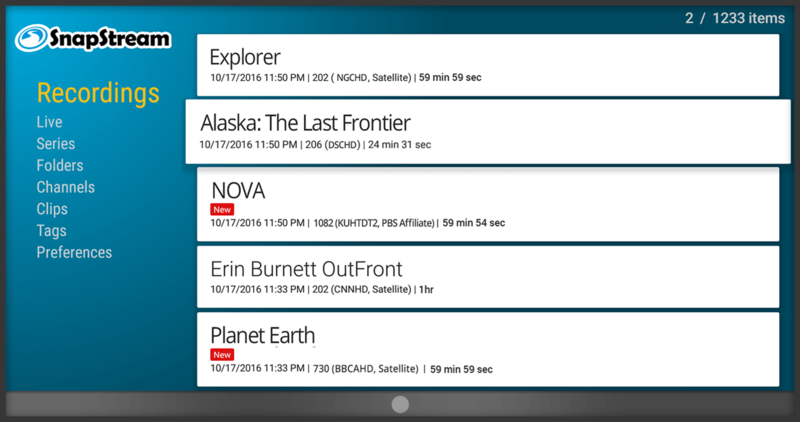 View recordings by series, folders, channels, clips, or metadata tags. The SnapStream server or SnapStream Cloud can centrally control 100s or 1000s of SnapStream TV Set-Top Boxes all from the Web interface. You can filter and search SnapStream Set-Top Boxes by serial number, group and name. Will it work with your SnapStream Setup? The SnapStream TV Set-Top Box only works with H.264 live & recorded video. If you're already using the SnapStream Encoders, you're all set. For customers recording in MPEG-2, you need to switch to H.264. For more information on this, see our guide to recording TV in H.264. 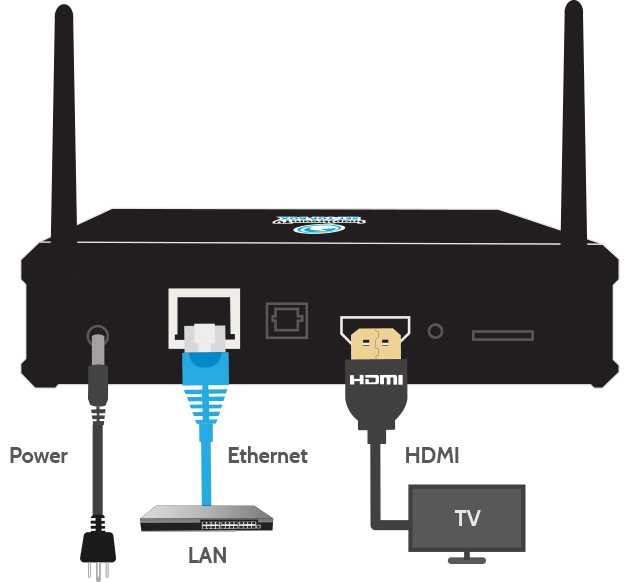 How much is the SnapStream TV Set-Top Box? What are the specifications for the SnapStream TV Set-Top Box? 6.6" x 5.2" x 0.8"